When booking GP appointments it is important that you only select the Surgery Branch that you are registered with. This will allow you to see and request your repeat medication, book GP but not Nurse appointments and tell us about changes in your address or contact details. You can apply to do this if you are over 16 years old and permanently registered with the Practice. To complete your registration we will need to see proof of identity. Patients across Devon from October 2018 will have the ability to access routine pre-bookable appointments in the evenings and at weekends. It is not a walk-in service. Appointments cannot be booked after 1800 for weekday evening surgeries, after 1800 on Friday for the weekend surgeries or over the weekend for Monday evening appointments. The aim of the GP Improved Access Service is to make it easier for people to get a routine appointment at a time that suits them. 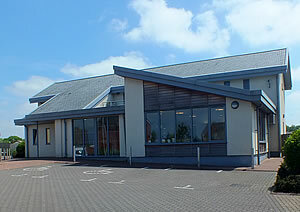 It is an extension of the existing GP service. Practices across Devon are working together to provide the service and individual GP Practices are promoting it to their patients. 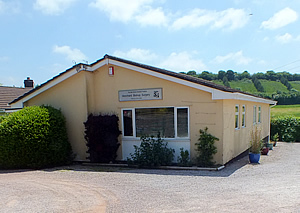 Please be aware that the surgeries are run each evening in one of several GP Practices in Devon and therefore patients may not see their usual GP or attend their usual GP surgery on a particular day. Help and support services for the young, older person and everyone in between. We are establishing a Patient Participation Group in order to help shape our service for your future care. • To give Practice staff and Patients the opportunity to discuss topics of mutual interest. • To provide a means for Patients to make constructive suggestions about the Practice and specific medical conditions. • To develop self-help projects to meet the needs of fellow Patients, e.g. befriending, help with transport and bereavement support . • To be a voice for the Patients. • To help the Patients to understand Practice decisions. • Aim to maintain and improve Patient satisfaction and experience. • Be a link between the Patient, the Partners and Practice staff. • Support the Practice in continuing to improve the service to the Patients and discuss our Practice performance data. • Help patients to understand how they can build on responsibility for their own health. We are introducing a new service that will in the future allow us to text you with various information such as reminders for flu clinics, medication reviews and annual medical reviews. You will receive a text confirming your appointment once you have booked it and also a reminder of that appointment the day before. To benefit from this service you will need to provide a current mobile number to the surgery. We have sent a text message to all patients for whom we have a mobile number to allow them to opt out from this service. If you believe you have a urinary tract infection due to symptoms of burning or stinging when you pass urine, an increase in frequency of needing to pass urine or the need to pass urine again shortly after doing so please provide a urine sample to the surgery - sample bottles are available from the surgery. If you have a fever or back pain associated with these symptoms please contact us to discuss as you may need to be examined by a GP. For urine samples received, which we have not ourselves requested, you will be asked to complete a short form giving us more information on your symptoms and whether you have a catheter fitted. If we have asked for a repeat sample, unless we also gave you a laboratory form to return with the sample, you will also be asked to complete this form. The information provided will help us to give you the appropriate care. Please note that all Surgery Branches - in Morchard Bishop, Cheriton Fitzpaine and Witheridge are closed from 1230 on the following days to allow training for all staff. 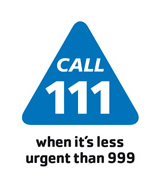 In the event of a life threatening emergency you should call 999 and for urgent health problems that cannot wait until we are open again the following day 111. Planned dates for 2018 will be posted when they are known. Each year certain age groups become eligible for the Shingles vaccination. Unfortunately we are unable to vaccinate any one else for Shingles. There are no specific clinics for these so if you fit the age criteria please make a nurse appointment for the vaccination. 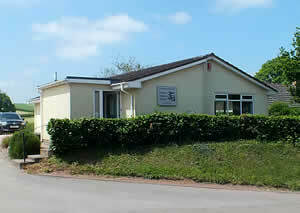 The Mid Devon Medical Practice comprises three surgeries at Witheridge, Cheriton Fitzpaine and Morchard Bishop. We provide a service to patients living around and between these three villages. All the surgeries have access suitable for disabled patients. Click on the picture links below for surgery location map, address, contact details and opening times. When the Practice is closed, please call 111 when you need medical help fast but it’s not a 999 emergency. Calls are free from landlines and mobile phones.